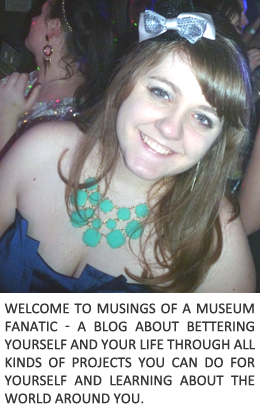 Musings of a Museum Fanatic: 101 List Year One ... Done! Sunday marks the end of the first year of my next 101 list! I cannot believe it has been a year. Not sure about anyone else but the time has flown this past year. As of right now I have finished 25 percent of my list! It feels awesome to have accomplished so much in a year. With this with this 101 last picture I am really hard to make sure they were accomplish-able goals, not only that I could achieve them but that I would actually want to complete the goals. I feel like I've started off right by getting a quarter of it done the first year and having another quarter of the list actively in progress. 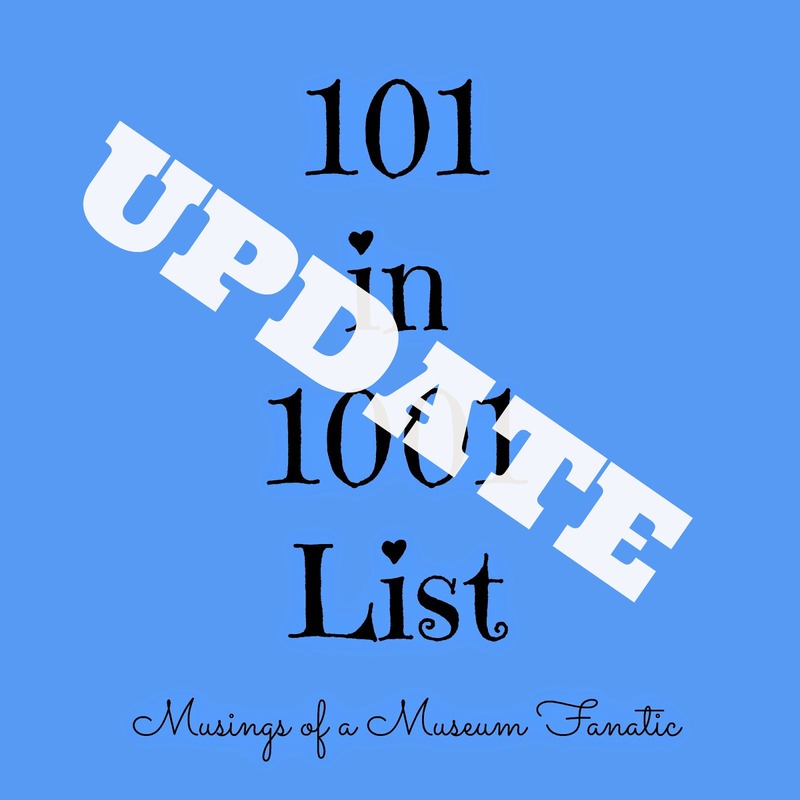 Check out my 101 in 1001 page for details on what all is on my list and where the numbers are at for the moment. It was a an awesome year with the 101 list for sure. I'm super happy that I was able to get some really fun list items crossed off. We had a great time Father's Day at Two Brothers Brewery and I have some wonderful photos and memories to cherish. I made my staycation weekend with Becky into a fun St. Patrick's day where I got to FINALLY enjoy a Chicago tradition, watching the river dyed green. I loved being able to check off all the Disney World 101 list items, Kevin and his parents were able to enjoy those as well. There are a lot of my list items that I've been working really hard on too. I've been working every chance I get to visit smaller Chicago museum's, which has led to finally visiting museum's like the Elmhurst History Museum that I've been saying I need to visit for years. The visit iconic Chicago restaurants has been a really fun one to work on. I've been enlisting the help of friends and have gotten to enjoy awesome meals, like some amazing Honey Butter Chicken. I have been working on the personal enrichment 101 list items as well I swear! My book lists are set and I'm trying to work my way through them. Finding a more intensive French class that won't break the bank has been difficult but I'm still trying. Not gonna lie as per usual the organization ones are in progress but it's a very slow progress! It will get there though. 368 days down ... 633 more to go!